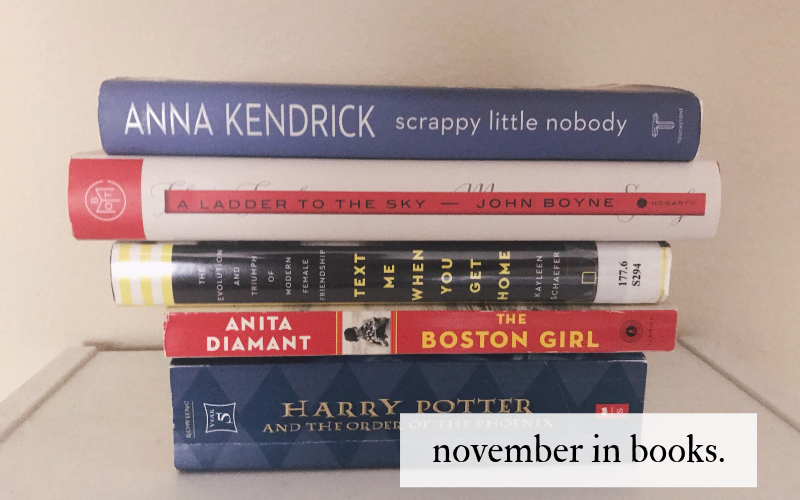 I read nine books in January! Two were while I was traveling and three were during the 24 in 48 readathon. I’m overall pretty pleased with my reading choices this month. All but one of those are books I acquired in the last few weeks, which is crazy (I spent a lot of money on books), and ironically the one I bought a few years ago was my least favorite. Okay, on to the books! 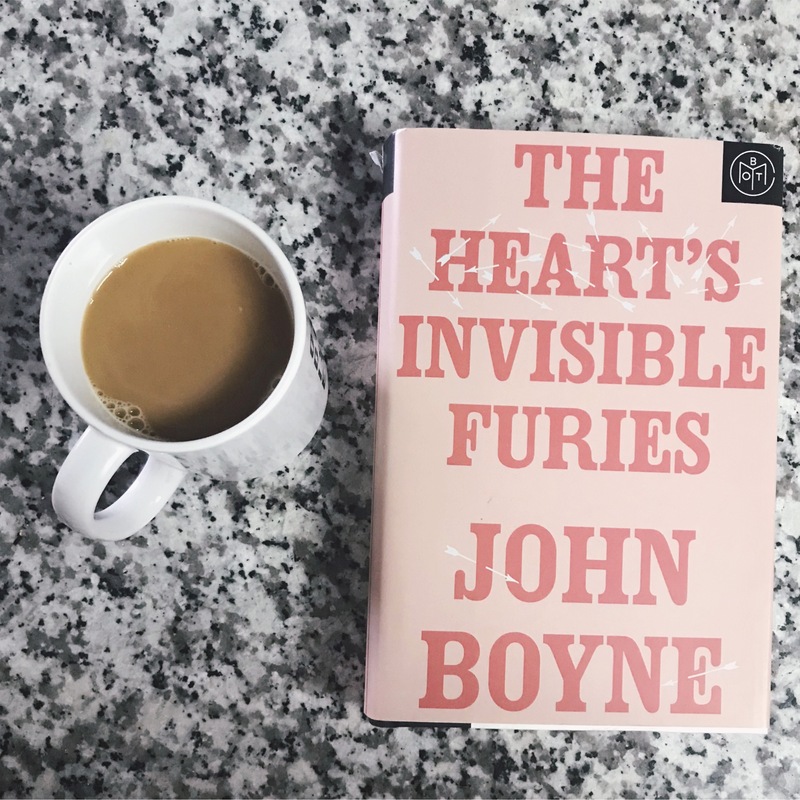 Review: I read this on a bus trip from Limerick to Dublin Airport. I liked it but didn’t love it, so it got three stars from me. 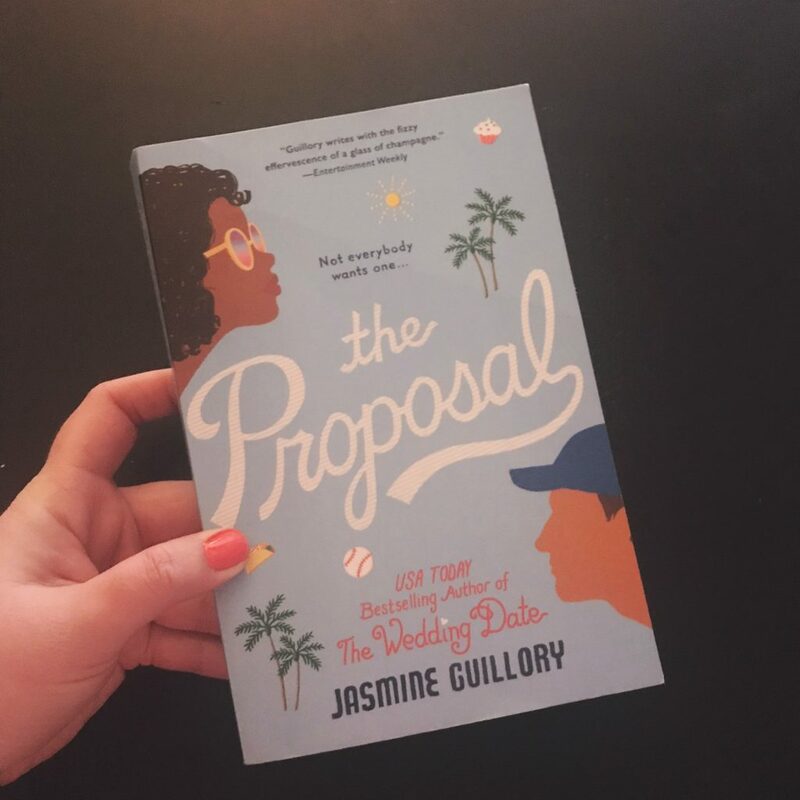 It’s about a young woman who gets proposed to on the big screen at Dodger Stadium, but she’s totally not expecting it and not really all that interested in her boyfriend to begin with. She gets rescued by a brother and sister and ultimately finds herself really interested in the brother. They start dating, but she’s really hesitant to rebound so soon. As an aside, her best friend owns a cupcake shop, which seems so fun! 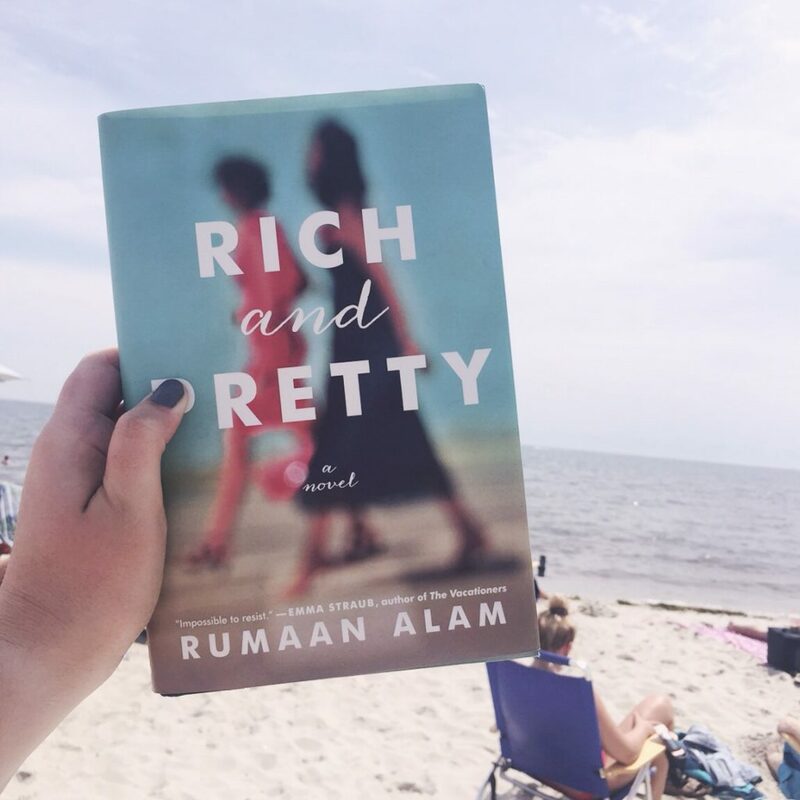 I liked this book for its diversity and portrayal of friendships and a realistic, fun love story. I didn’t like how cheesy and inauthentic it felt in terms of Los Angeles – sure, people complain about going to the other side of the city, but it wouldn’t stop you from seeing your own brother for months at a time! How I got this book: I bought it at LAX on the way to Ireland. Summary: The warm fall day starts like any other at the Center—a women’s reproductive health services clinic—its staff offering care to anyone who passes through its doors. Then, in late morning, a desperate and distraught gunman bursts in and opens fire, taking all inside hostage. After rushing to the scene, Hugh McElroy, a police hostage negotiator, sets up a perimeter and begins making a plan to communicate with the gunman. As his phone vibrates with incoming text messages he glances at it and, to his horror, finds out that his fifteen-year-old daughter, Wren, is inside the clinic. 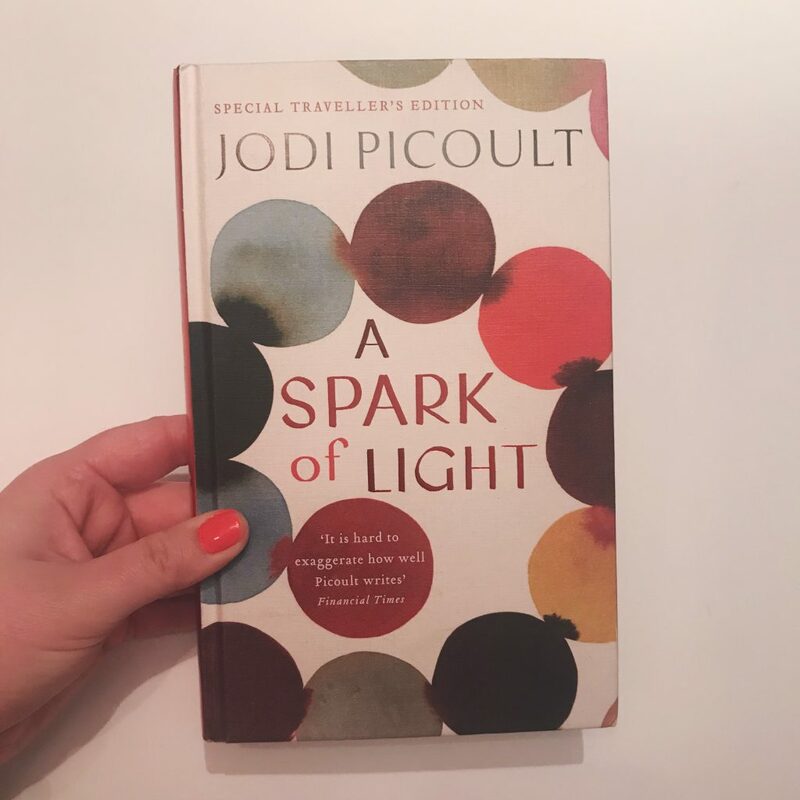 Review: The very first book I remember crying over was by Jodi Picoult: My Sister’s Keeper. I wept and wept when I read that. Nothing will ever top it for me, but this book came close in terms of questions of faith and morality and the right thing to do. A gunman comes into a women’s center similar to Planned Parenthood and holds people hostage. It’s very powerful, with character backstories like only Jodi can do. 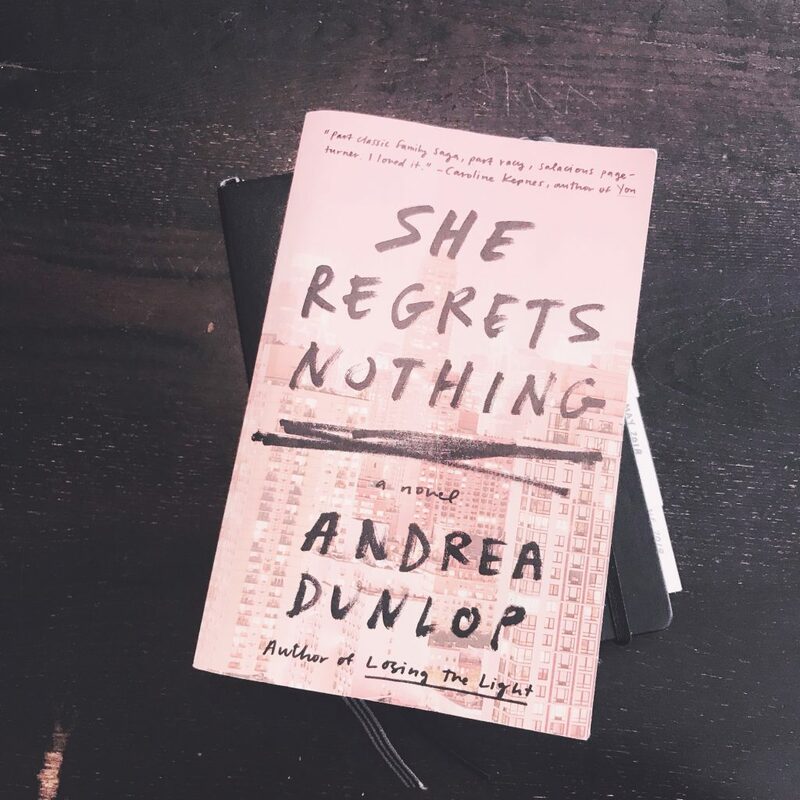 It didn’t grip me like some of her other books (some of which have kept me awake at night thinking about them) and the backwards narrative was confusing at times. But I would recommend this for sure. 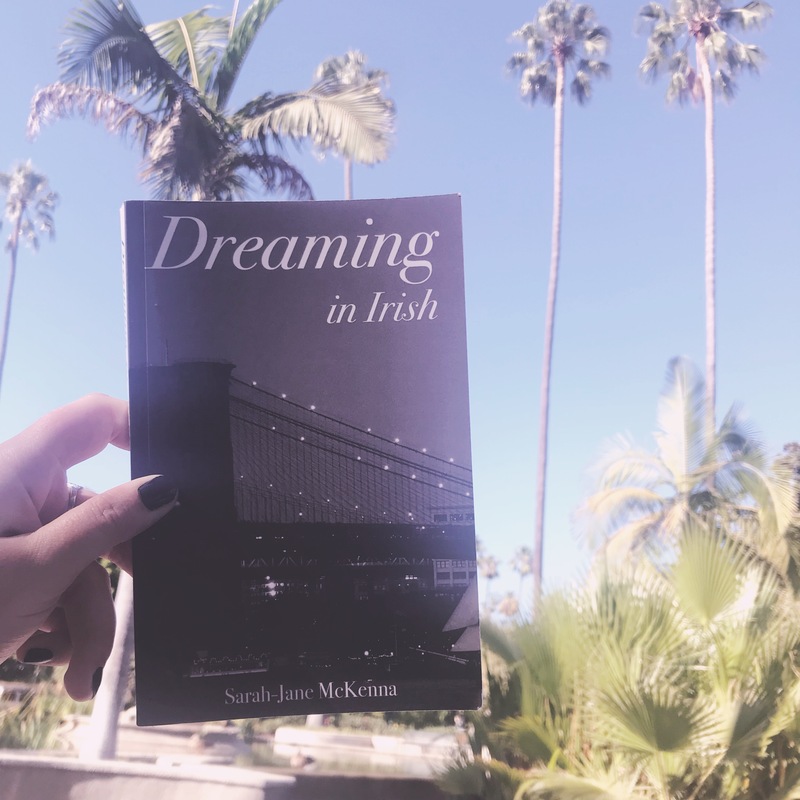 How I got this book: I bought it at Dublin Airport on the way to LA. Summary: In 1985, Yale Tishman, the development director for an art gallery in Chicago, is about to pull off an amazing coup, bringing in an extraordinary collection of 1920s paintings as a gift to the gallery. Yet as his career begins to flourish, the carnage of the AIDS epidemic grows around him. One by one, his friends are dying and after his friend Nico’s funeral, the virus circles closer and closer to Yale himself. Soon the only person he has left is Fiona, Nico’s little sister. Review: This book. Wow. I have so many deep feelings about it. In fact, I read it as a library book but immediately ordered a copy of my own so I can convince everyone to read it. It’s told through dual narratives: Yale is a young gay man living in Chicago in 1985, and everyone around him is dying of AIDS. In 2015, Fiona is searching for her adult daughter, who’s run away. I’m a bit embarrassed to say I had never thought about the AIDS crisis in such simple, human terms until I read this book. Definitely, highly, absolutely recommend. How I got this book: I borrowed it from the library, and then loved it so much that I immediately bought my own copy. Summary: Laurie is pretty sure love at first sight doesn’t exist anywhere but the movies. But then, through a misted-up bus window one snowy December day, she sees a man who she knows instantly is the one. Their eyes meet, there’s a moment of pure magic… and then her bus drives away. 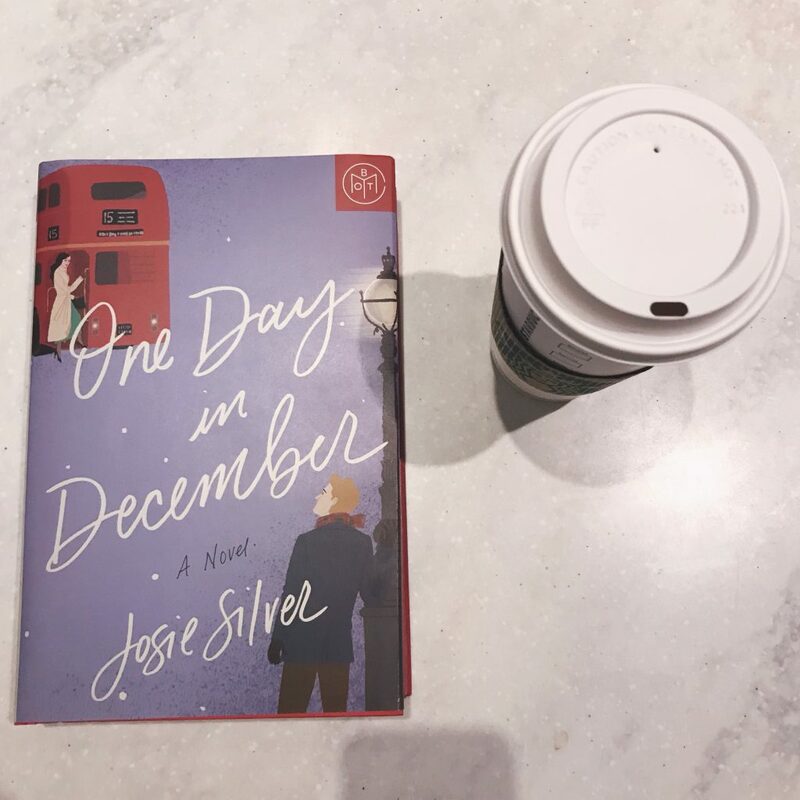 Review: I read all of One Day in December in one day in January and absolutely loved it. After hitting pause on two books (one I wasn’t loving and one that felt emotionally heavy) this was the perfect read. It wasn’t as seasonal as I expected, which made it great to read even after Christmas. It starts in December but takes place all year. Laurie is on a bus when she makes eye contact with a man sitting at the bus stop, and immediately feels connected to him. She needs to know more – but then the bus drives away. What follows is a ten year saga of love and heartbreak and friendship and life changes. I love how realistically this book depicted female friendship and the highs and lows of relationships. I thought this was a really charming book and I definitely recommend it! 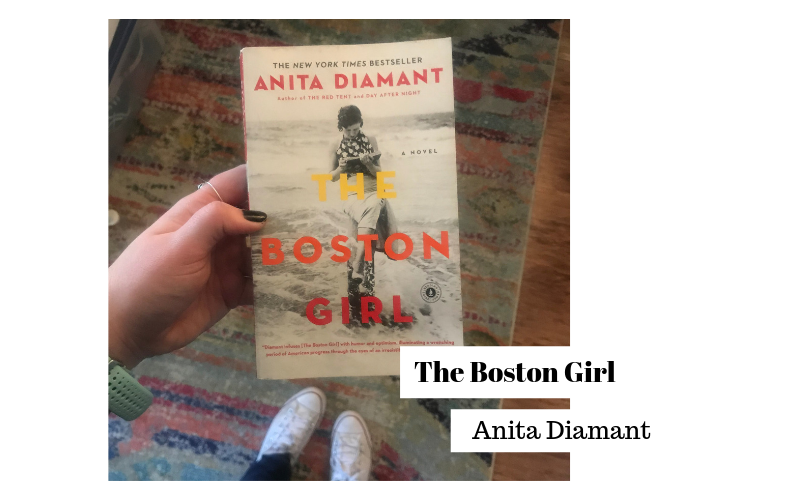 How I got this book: Book of the Month. Summary: As an Indian wedding gathers a family back together, parents Rafiq and Layla must reckon with the choices their children have made. There is Hadia: their headstrong, eldest daughter, whose marriage is a match of love and not tradition. Huda, the middle child, determined to follow in her sister’s footsteps. And lastly, their estranged son, Amar, who returns to the family fold for the first time in three years to take his place as brother of the bride. What secrets and betrayals have caused this close-knit family to fracture? Can Amar find his way back to the people who know and love him best? 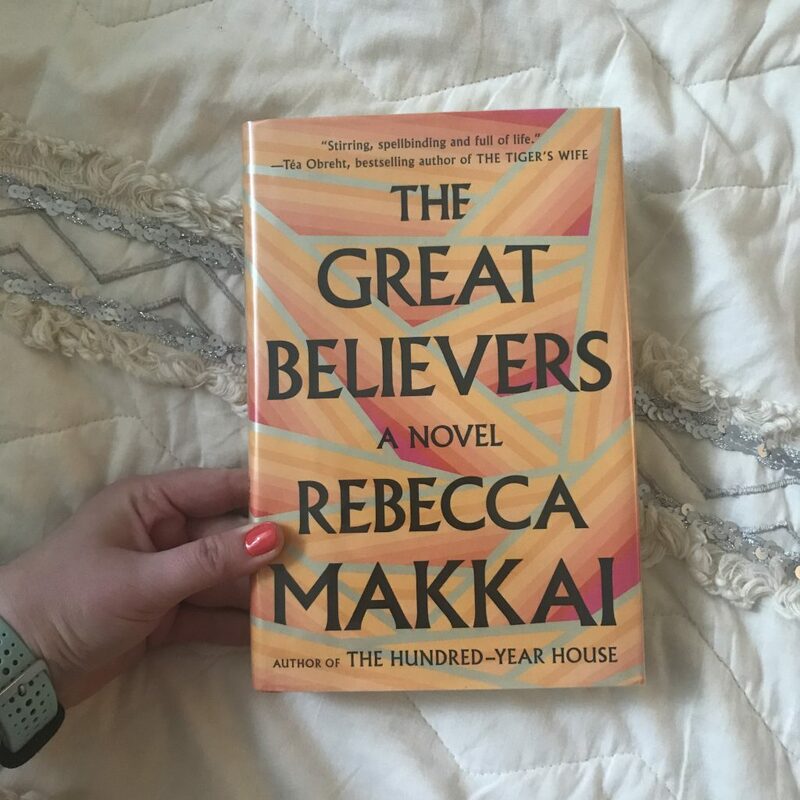 Review: This book, this book, this book. My friend Hannah told me to pick it up and then immediately said she was worried she had overhyped it. She didn’t. It was a slow, deep, thoughtful story about a Muslim Indian family living in California. The parents struggle to raise their American-born kids in a culture that’s so different from their own. The book deals with that clash and many others. It starts at the oldest daughter’s wedding and then jumps back in time, starting when the kids are very young. It was easy for me to see myself in the oldest daughter: smart, eager to please, trying to do the right thing. This book is a bit slow to get into (and I even set it aside for a week) but once you get going you will love it. Highly recommend. How I got this book: Bought it at Barnes and Noble. 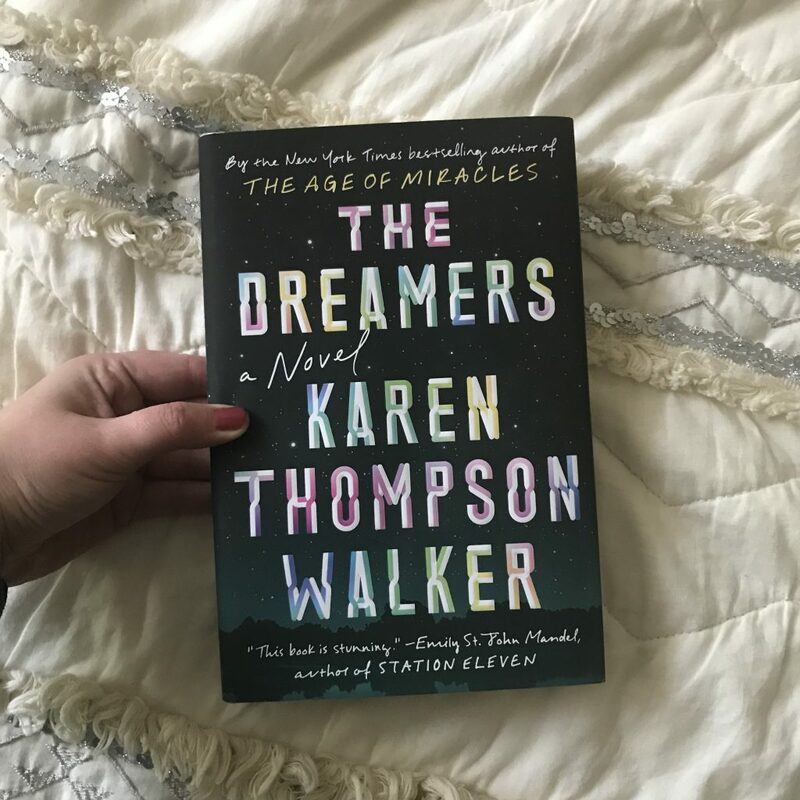 Summary: One night in an isolated college town in the hills of Southern California, a first-year student stumbles into her dorm room, falls asleep—and doesn’t wake up. She sleeps through the morning, into the evening. Her roommate, Mei, cannot rouse her. Neither can the paramedics, nor the perplexed doctors at the hospital. When a second girl falls asleep, and then a third, Mei finds herself thrust together with an eccentric classmate as panic takes hold of the college and spreads to the town. A young couple tries to protect their newborn baby as the once-quiet streets descend into chaos. Two sisters turn to each other for comfort as their survivalist father prepares for disaster. Review: In a college town outside of Los Angeles, a girl wakes up to find her roommate in a deep sleep that won’t end. And then the sleep spreads to other people on the floor. First two, and then three. And then it becomes an outbreak, an unidentified virus spreading through the small town. This book got me thinking all sorts of deep thoughts about life and family and love and loyalty. It reminded me a bit of Station Eleven, naturally because of the outbreak plot but also because of the emotions present in this book. Highly recommend. How I got this book: Borrowed from a friend! Summary: In the male-dominated field of animation, Mel Vaught and Sharon Kisses are a dynamic duo, the friction of their differences driving them: Sharon, quietly ambitious but self-doubting; Mel, brash and unapologetic, always the life of the party. Best friends and artistic partners since the first week of college, where they bonded over their working-class roots and obvious talent, they spent their twenties ensconced in a gritty Brooklyn studio. Working, drinking, laughing. Drawing: Mel, to understand her tumultuous past, and Sharon, to lose herself altogether. 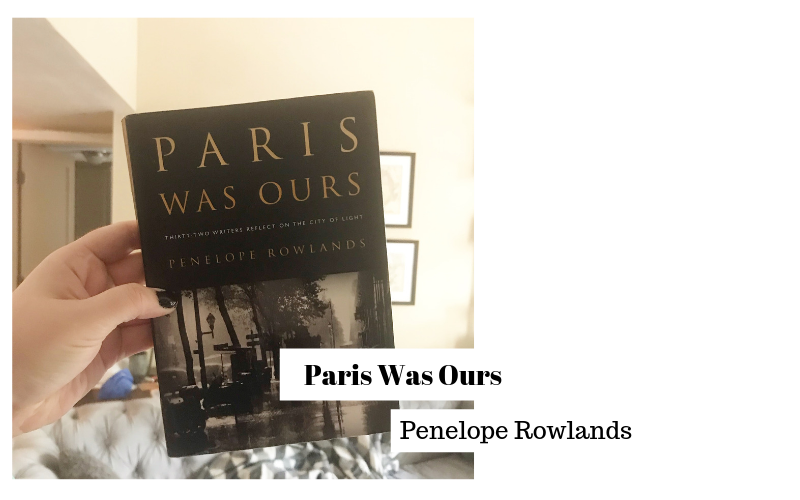 Review: I got this book from Book of the Month in February 2017, nearly two years ago. I never got around to reading it, and I finally picked it up this month. I got more than halfway through and wasn’t loving it, so I set it down (trying to do more of that this year!) for a while. I picked it back up a few weeks later to finish it off, but quite honestly I still hated it. The book didn’t get better for me. I can see why people like it but the whole thing felt sad and depressing to me. It wasn’t easy for me to care about any of the characters. I did like the aspects of unhealthy friendships, because that’s very real, but that was it for me. Just not the right book or the right timing for me! Summary: Charlotte Walsh is running for Senate in the most important race in the country during a midterm election that will decide the balance of power in Congress. Still reeling from a presidential election that shocked and divided the country and inspired by the chance to make a difference, she’s left behind her high-powered job in Silicon Valley and returned, with her husband Max and their three young daughters, to her downtrodden Pennsylvania hometown to run in the Rust Belt state. 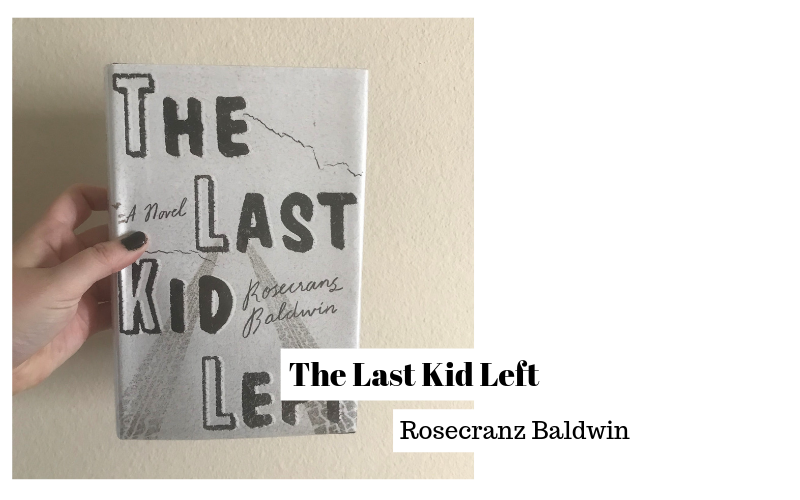 Review: I really liked this story about a woman running for political office in the 2018 midterm elections. 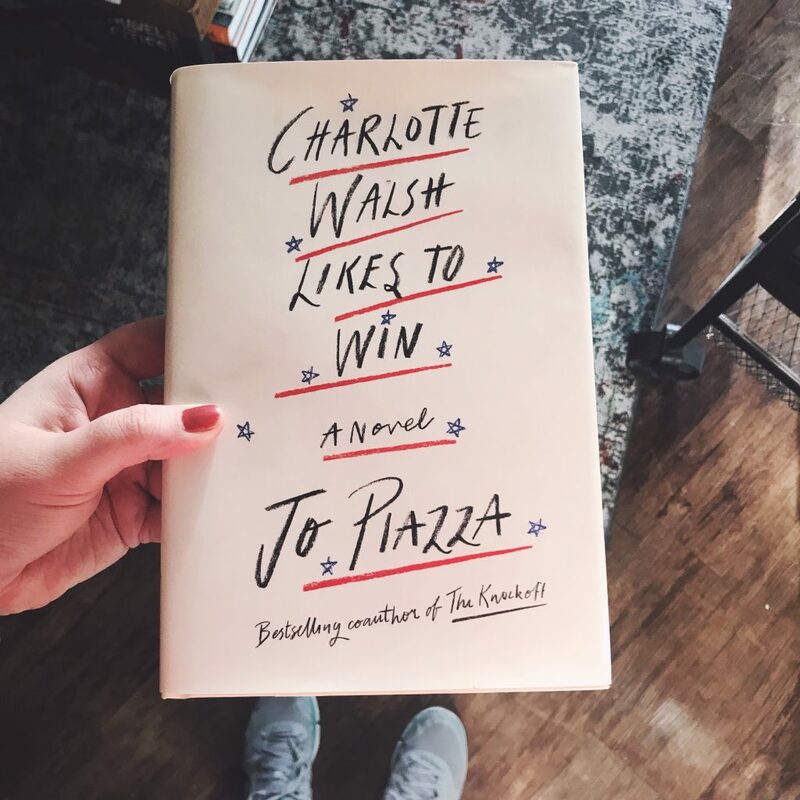 Charlotte Walsh is trying to become the first female senator of Pennsylvania, but to do so she needs to change her family’s life and sweep a lot under the rug. It deals with ambition, politics, relationships, marriage, and friendship. I tend to find books like this cheesy or too reminiscent of the 2016 election, but this one was all about making a difference and shooting for your goals. I liked it a lot! How I got this book: Purchased it from Book Outlet. Summary: At the age of twenty-nine, Hannah Martin still has no idea what she wants to do with her life. She has lived in six different cities and held countless meaningless jobs since graduating college. 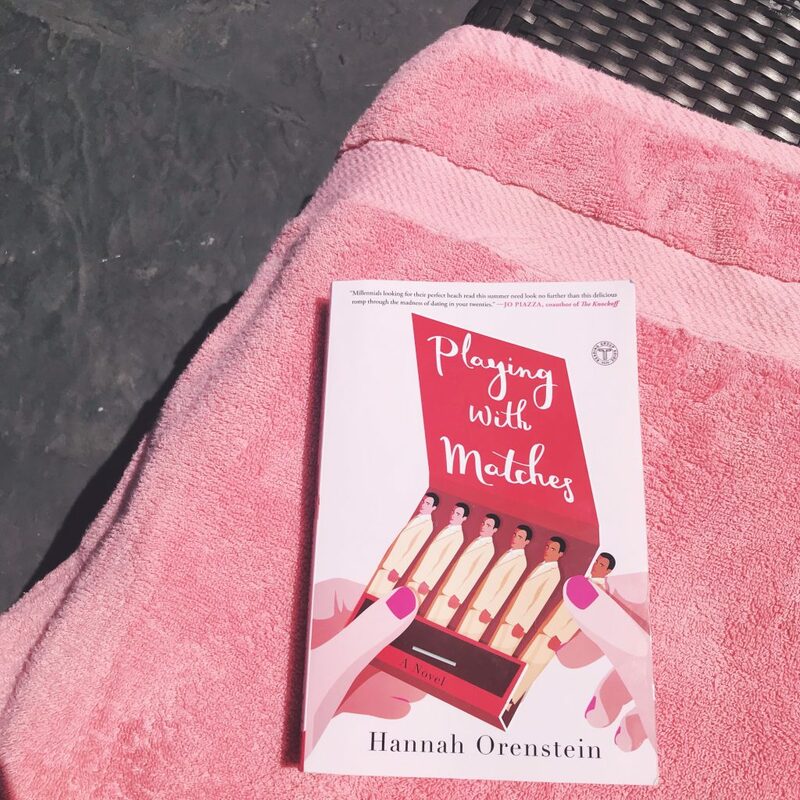 On the heels of leaving yet another city, Hannah moves back to her hometown of Los Angeles and takes up residence in her best friend Gabby’s guestroom. Shortly after getting back to town, Hannah goes out to a bar one night with Gabby and meets up with her high school boyfriend, Ethan. 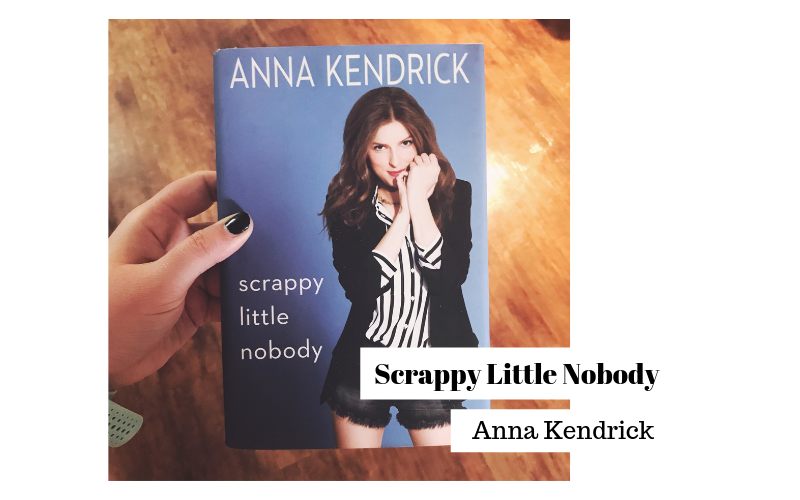 Review: I loved this book. 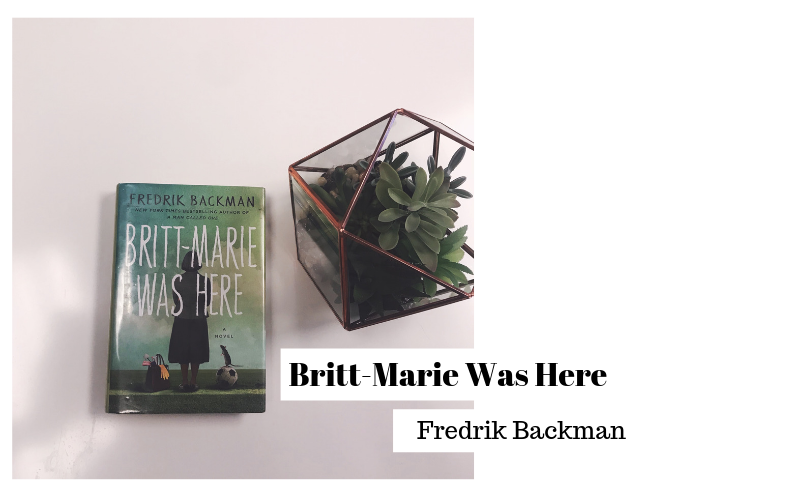 Hannah Martin is 29 years old and moving back to Los Angeles as she tries to figure out her life. On her first night back, she has a choice to make. That choice plays out with both decisions in parallel storylines in this book. What is fate and how much can one tiny choice change our path? What is actually meant to happen? I loved how there were both good and bad things in both storylines, and it was hard to pick which one I liked more! I do sometimes wonder what would have happened if I went to a different college or moved to a different city, because my life would certainly be very different. But this book shows how even seemingly tiny choices can have big effects. How I got this book: Purchased it from Barnes and Noble. I also tried to read A Separation by Katie Kitamura, but stopped after 75 pages. The writing style and never ending introspection weren’t for me. So that means nine books to start off 2019! It’s a well established fact that I love reading challenges. I love the idea of getting myself to read outside my usual boundaries. Finishing reading challenges, however, is another story. I feel like my interest usually wanes a third of the way into the year, and then I forget about them entirely. That’s fine if it works for you, but I’m an enneagram 3 and I’m all about completing the goals. That’s why this year I’m going to focus on just one. I think the key to completing challenges like this is preplanning a few options for books that would fit the selected categories. It’s nice to give yourself some flexibility, but I always find that if there’s a book on a list, I’m much more likely to actually read it. In that vein, thought it would be fun to share some of the books I’m planning to read for this challenge. I’ve had Milk and Honey by Rupi Kaur for two years now, and I’d love to read it for real. Looking at this list of high school classics from Goodreads gave me serious flashbacks, some positive and some negative. I can’t pick one right now, but it’ll be something from this list. Any recommendations for me? This is for sure going to be Becoming by Michelle Obama. We’re reading it for book club next month, and I cannot wait to start it. I’ve heard such amazing things. I think for this one I’ll head to the library and pick up something that looks like it fits the bill! Sugar Run by Mesha Maren is a mix of my two favorite colors: pink and navy! Definitely bought this because the plot sounded good but also because the cover was so pretty. Ten Thousand Saints by Eleanor Henderson sounds pretty wild + good. This is the one that I’m stuck on and I would love some recommendations! Nothing is coming to mind right now. This will likely be Where the Crawdads Sing, which was everywhere a few weeks ago. I don’t see it as much lately, but considering that I bought it because of its popularity on my feed, it absolutely qualifies. The Virgin Suicides by Jeffrey Eugenides has been on my “someday” list for a long time, and it was published in 1993! I just picked up The Likeness from Book Outlet on Bri’s raving recommendation, so it’s likely going to be that. I’m looking forward to reading these books! Are you doing any fun reading challenges this year? 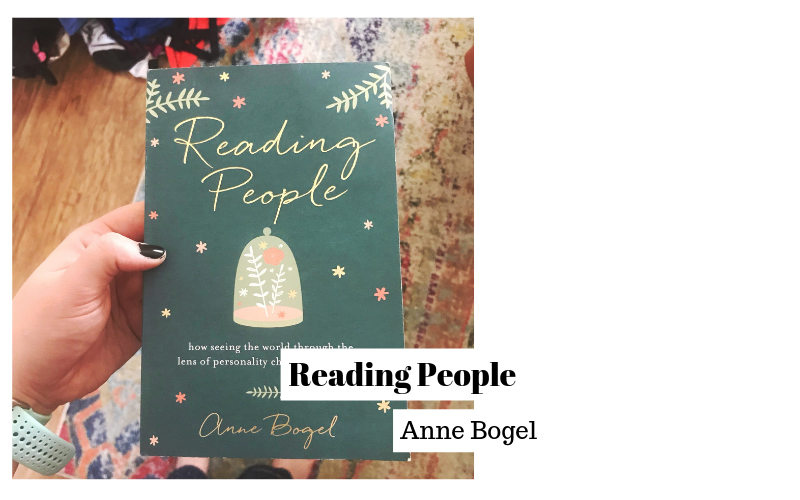 After not quite meeting my reading goals for 2018, I’m excited for a fresh start to set some new reading-related goals for this year! Read 100 books. I’m back with a second attempt at this goal. I know it’s doable if I keep up the pace of reading. Read 60 books I own. Like many book lovers, I’m incredibly guilty of buying new books in favor of reading the ones I own. I’ll be moving some time this spring, and I don’t want to move alllll those books again. 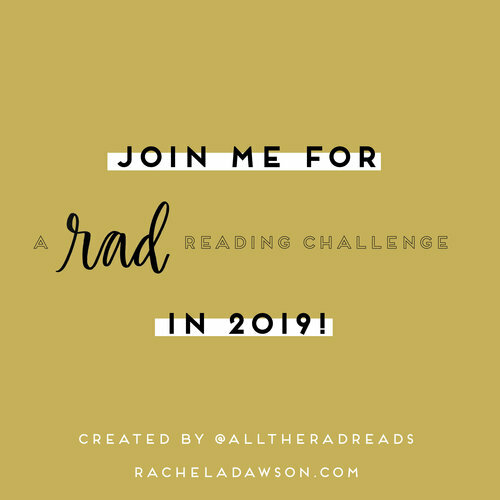 Participate in the RAD Reading Challenge. I love Rachel’s blog and I’m excited to participate in this with her. 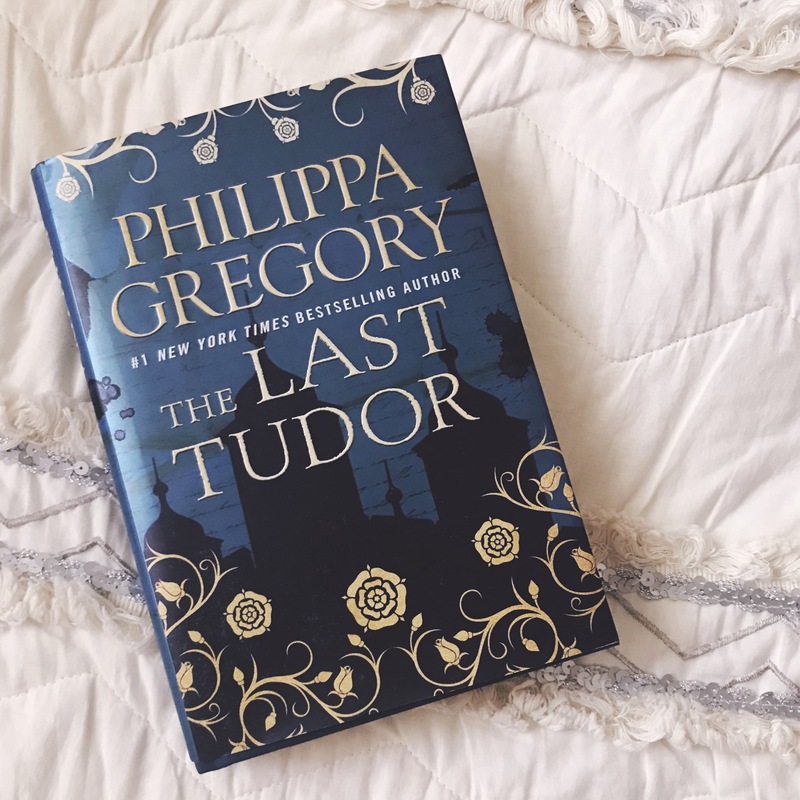 Read at least 10 books from the POPSUGAR Reading Challenge list. I want to say I will complete the whole list, but I’m not sure that’s realistic with my other goals! But the secret goal is to complete the whole list. Read 75% books by women and people of color. I had this goal last year and I fell behind on the data aspect of this, so I have no clue how I did. Keep up with book club. 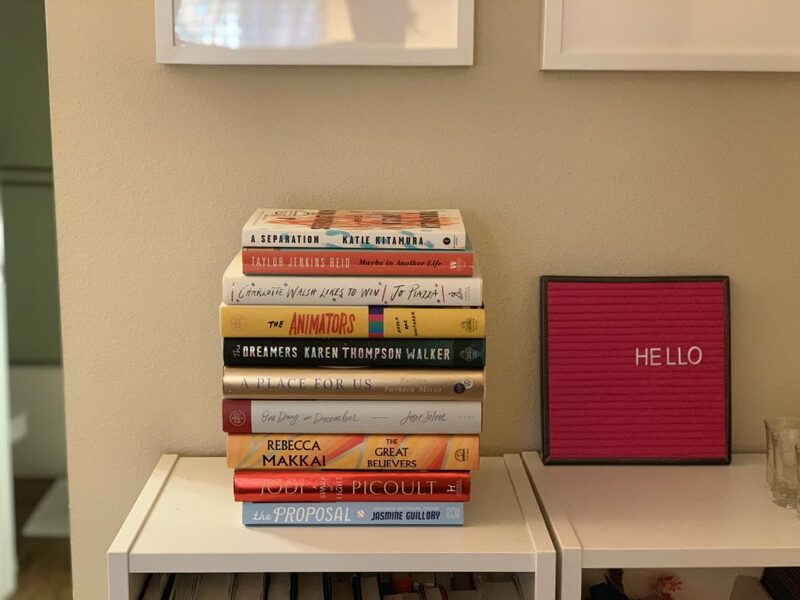 I started a book club in the fall of 2017, and life events have kept me from going the last few months. I want to get back to it, because I love it. 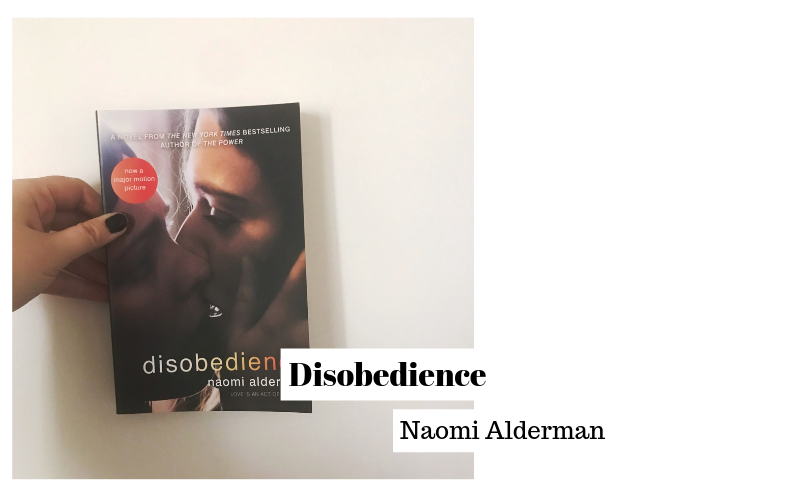 Get my monthly reviews up on the blog in the first week of the month. Last year I wasn’t great about this, and it led to a backup, which for me leads to inaction. Post quarterly reading updates. 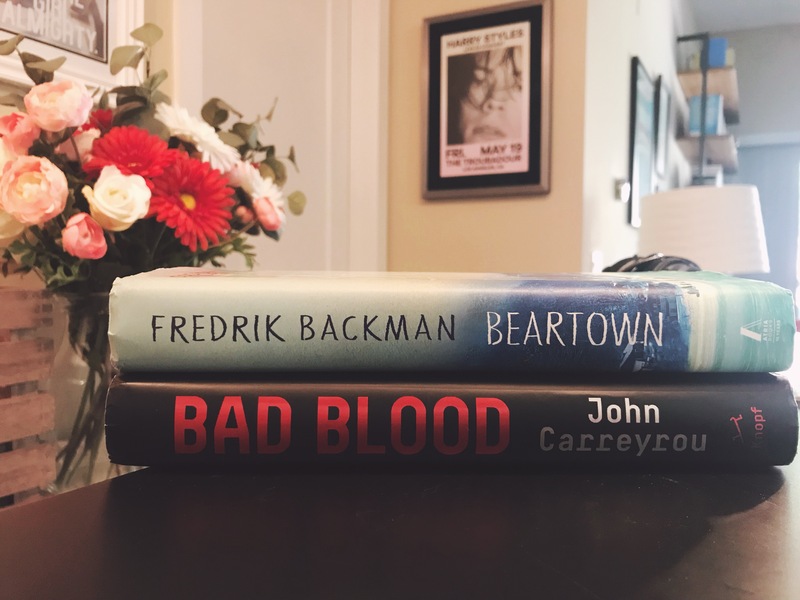 I love writing reviews, but I also want to write deeper thoughts about a few books I’ve especially loved over the last quarter. Use the library more. I want to check the availability at the library first instead of deferring to online book shopping. Stop reading books I’m not loving. I’m awful at this because I feel so guilty and I want to be able to count the book in my yearly book goal. That’s dumb and life is short and I should only be reading books I love. 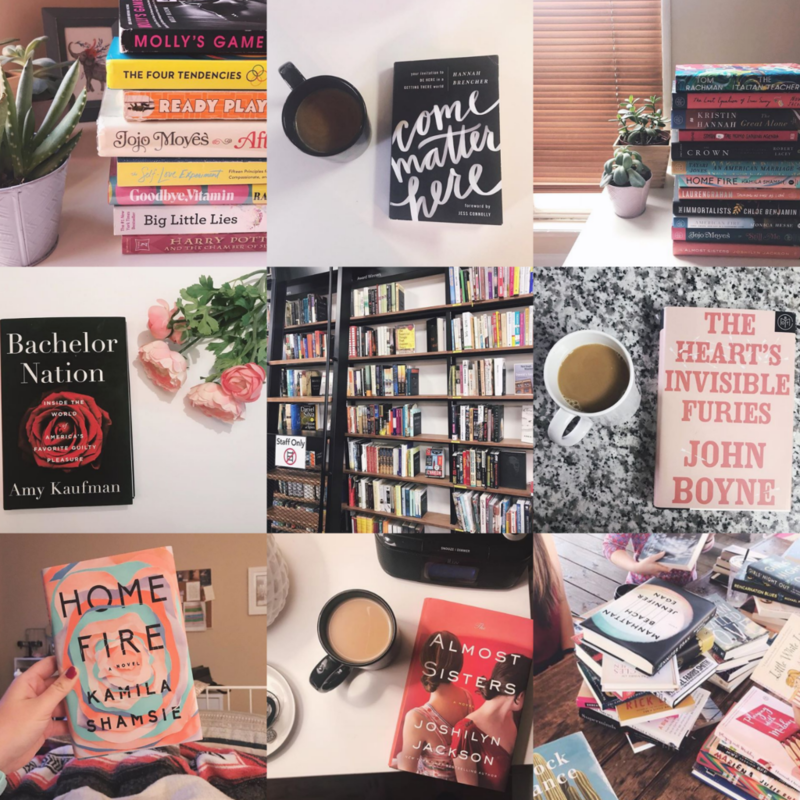 I read 78 books in 2018, more than I’ve ever read before. Some books I loved, some I hated, and some were fine but forgettable. Today, I’m sharing the ones that have stuck with me. 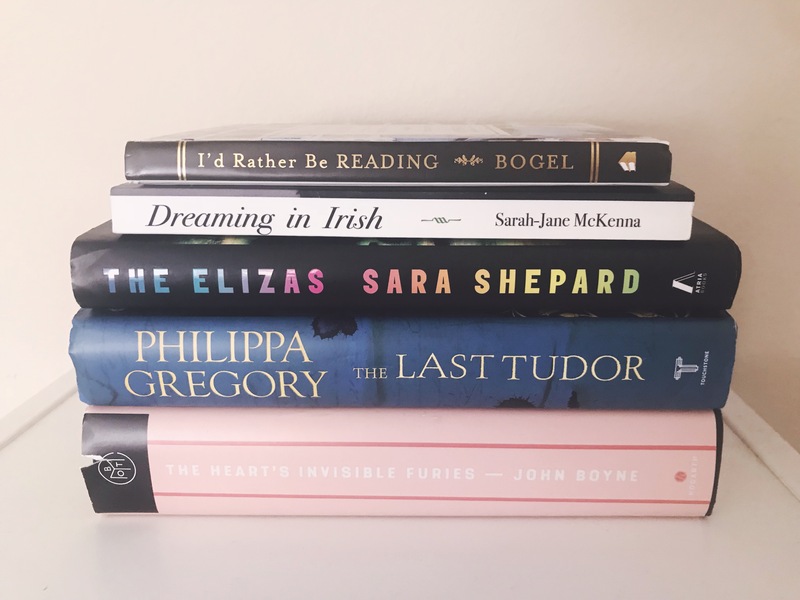 They may not be the best books of all time or ones that will win any literary awards, but here are ones I can’t stop thinking about and hope to reread one day. This list is in no particular order, but this book absolutely gets the top spot. 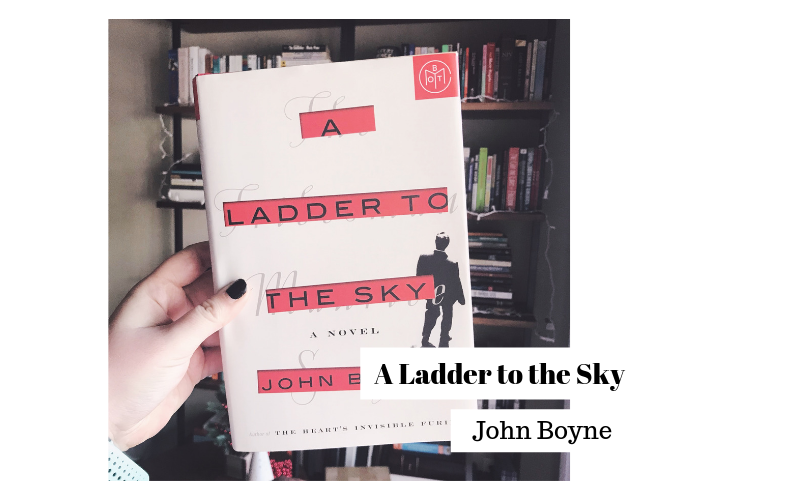 This book has everything: it’s the saga of one man’s life growing up in Ireland, picking up with him every 7 years to see what he’s up to. It shows how Ireland’s cultural attitudes changed over time and how Cyril adapts to them. It stuck with me because it’s gutting and heartwrenching, but so, so good.. It made me happy and it made me cry. It’s one of those books that only comes around once in a while. This book stuck with me because it’s like Friday Night Lights, but set in Sweden instead of Texas, and with hockey instead of football. It’s the story of how one small town’s obsession with its youth hockey team is a positive force for so many, but ultimately destructive in other ways. It’s about family and growing up and becoming an adult. The emotion in this book is unparalleled. I loved it. 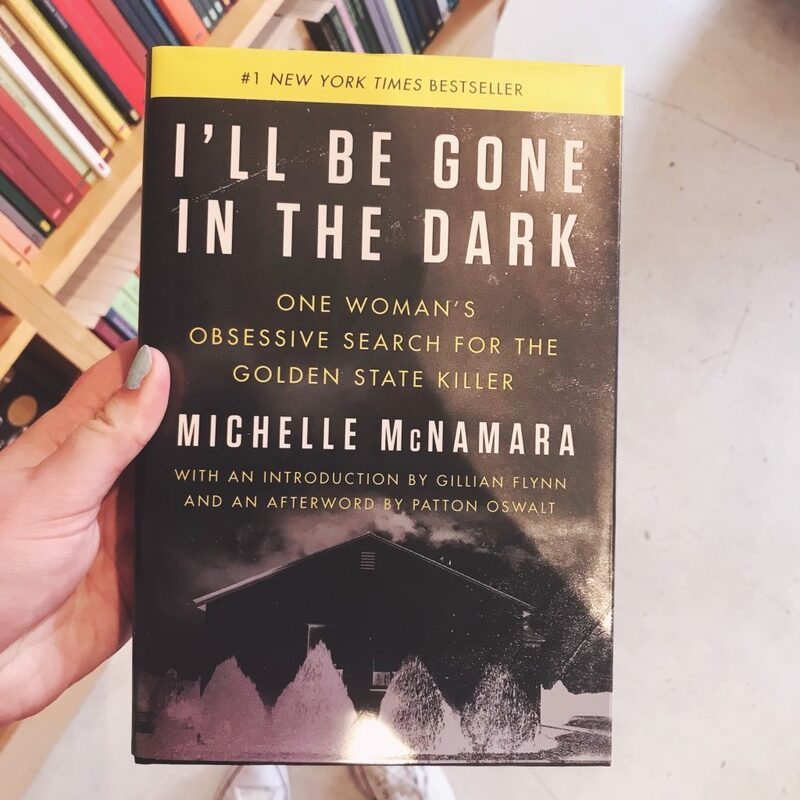 This book about the Golden State Killer was published after the author’s death, and shortly after that, the killer was captured. 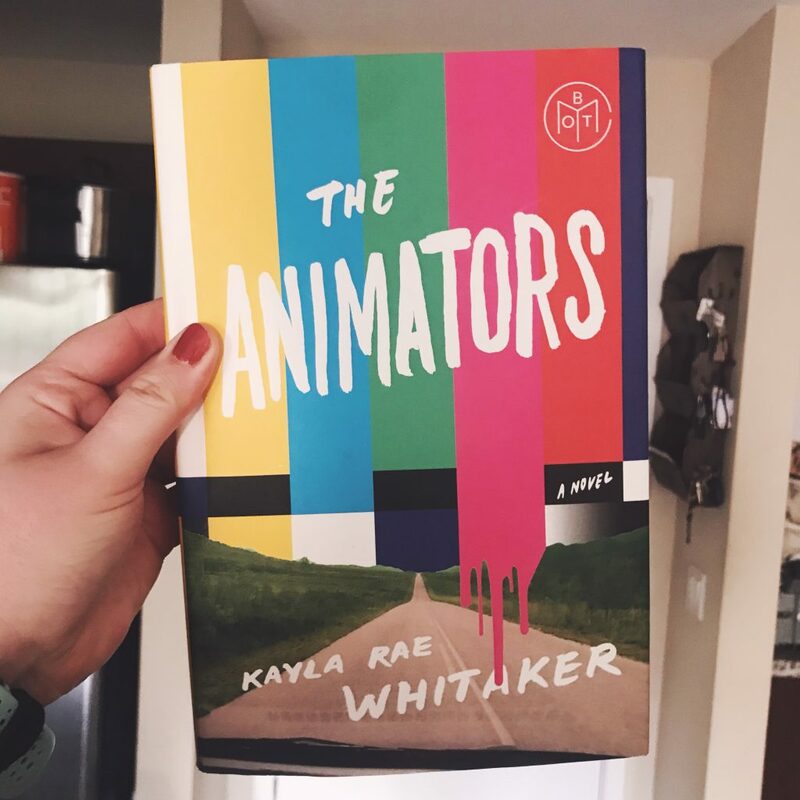 This book stuck with me because it’s like a cross between a novel and a textbook: the depictions of the killer breaking into houses are so vivid from people’s memories that it was easy at times to forget these things actually happened. It’s the first true crime book I’ve read in a long time that I wasn’t able to stop thinking about. I have recommended this book to everyone I know. 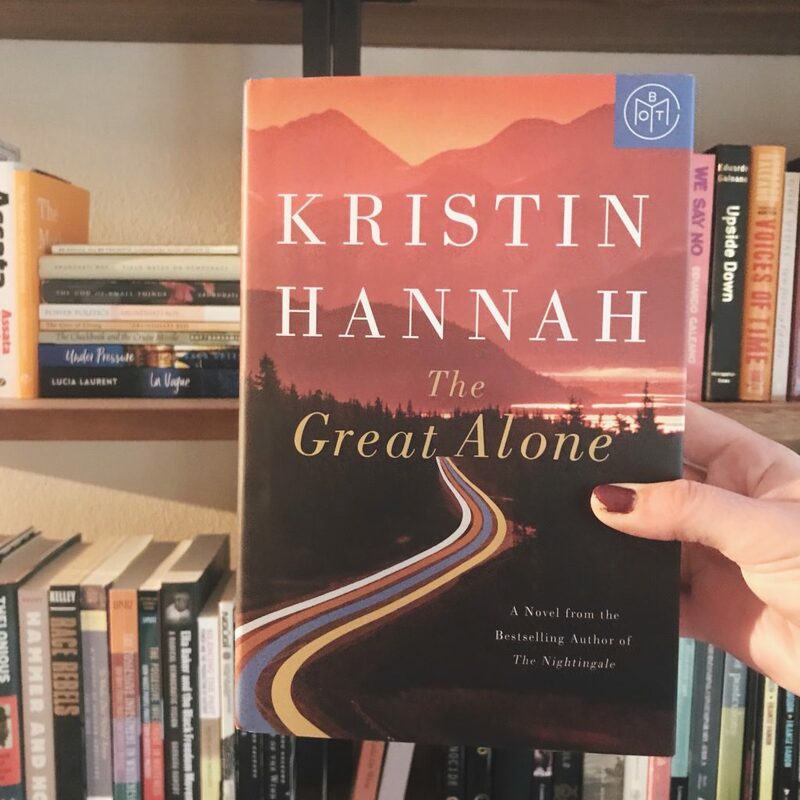 Kristin Hannah is incredible. This book is about a teenage girl that moves to Alaska on the whim of her father, a Vietnam vet who struggles with PTSD. Everything is fine at first, but then it gets closer to winter, and trouble strikes. This book stuck with me because evokes such specific feelings. I felt the cold of Alaska, I felt the stress of being in that situation, and I felt stressed right along with the characters. This book, a story of four siblings who visit a fortune teller to find out the date of their deaths, ripped me apart. It stuck with me because the siblings all approached their lives differently after the meeting, some in healthy ways and others in healthy ways. It made me wonder if I would want to know the date of my death if I had the opportunity. I feel like I wouldn’t, but I can see how knowing would make me concentrate on what I really cared about. It’s helpful to remember that any day COULD be the last day, and I should be living in a positive way as if it is. 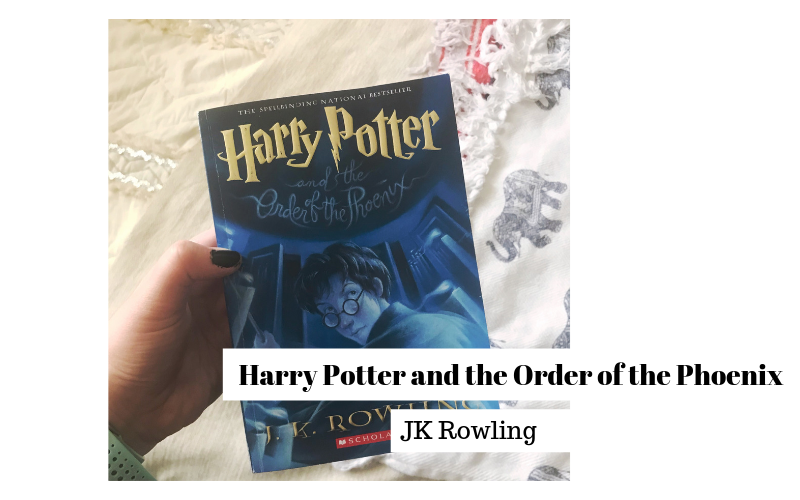 The two books I read in December were Harry Potter and the Half-Blood Prince and Harry Potter and the Deathly Hallows. Both were great. 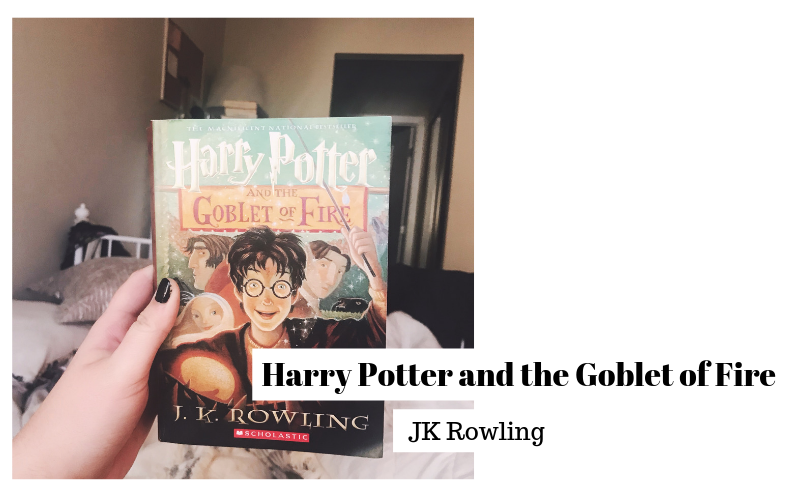 That’s a boring blog post, so instead I’m going to talk about my experience of reading all seven Harry Potter books this year. For years I intended to read the series in its entirety but never quite got around to it. Truthfully, I’d usually get stuck on the first or second book. Those are the ones I’d read the most, and definitely the quickest reads, which is why it’s ironic that I’d get stuck there. I just didn’t want to read them for the 15th time, and I’d stop. But this year I kept going and pushed through, and it was totally worth it. In re-reading the series, I got to rediscover the characters I grew up with. I was seven when I read the first book. I don’t think it needs to be said how important the Harry Potter series has been to my development. I learned that my favorite book is no longer Order of the Phoenix but rather Goblet of Fire or Deathly Hallows. I learned that the comments made after the 2016 election about how the books are alarmingly applicable to current times are true. I learned that I still want to be Hermione when I grow up. I learned that this series is as applicable to me now at 25 as it was when I was 10 years old. I get different things out of it now, but I love it just the same. I hope it’ll be as applicable in another 15 years. I know I’m romanticizing a book series, but it’s something I can’t help. It’s part of who I am, and I’m happy for that to be the case. Start early, and keep going. I ended up reading the last two books in the last two weeks of the year. I was reading the last one on the car ride home on the afternoon of New Year’s Eve. I made it in the end, but I’d have preferred to avoid that if possible. Plan it out. If you’ll need to borrow the books from a friend or a library, give yourself plenty of time to get a copy. You don’t want to be stuck on December 29th looking for the last book. 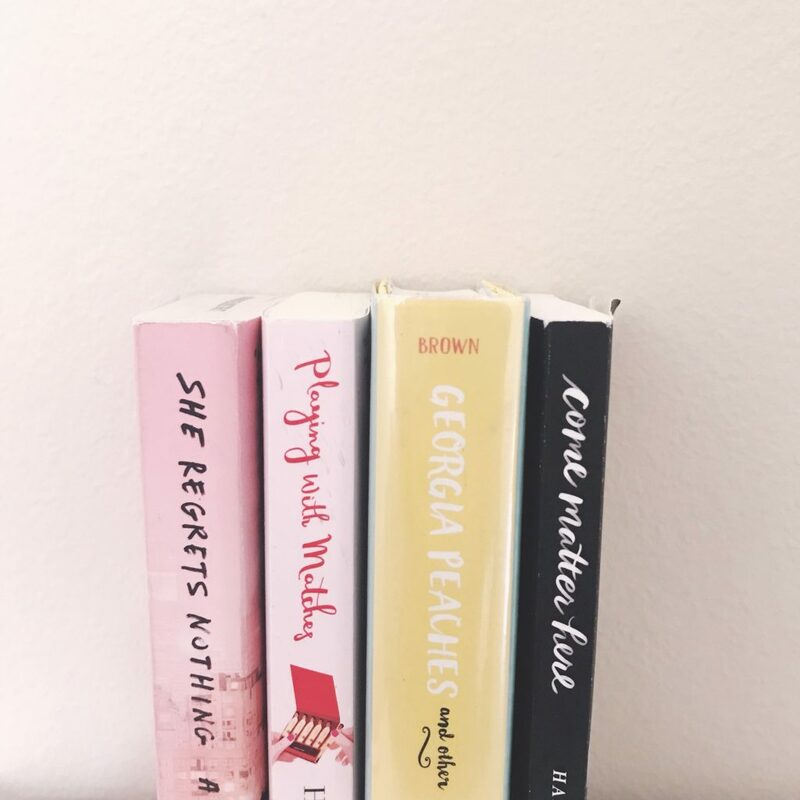 Don’t read them all in a row – or do! There’s no right way to go about doing this. Maybe you want to immerse yourself in the world, or maybe you want to sprinkle the books in amidst your other books for the year. Whatever way you choose, I hope you enjoy the ride! So it’s pretty clear I’m not gonna meet my reading goal for this year. To be honest, I’m surprisingly okay with it. 100 books in a year was an ambitious goal, and I hoped I’d meet it, but unless I want to read 24 books in the two weeks, it’s not happening. My hope for December is to read the last two Harry Potter books, and if I read anything extra on top of that, it’s great. I wrote my senior high school thesis on female bullying in literature. This book feels like the opposite of that. It’s all about how female friendships shape our lives. 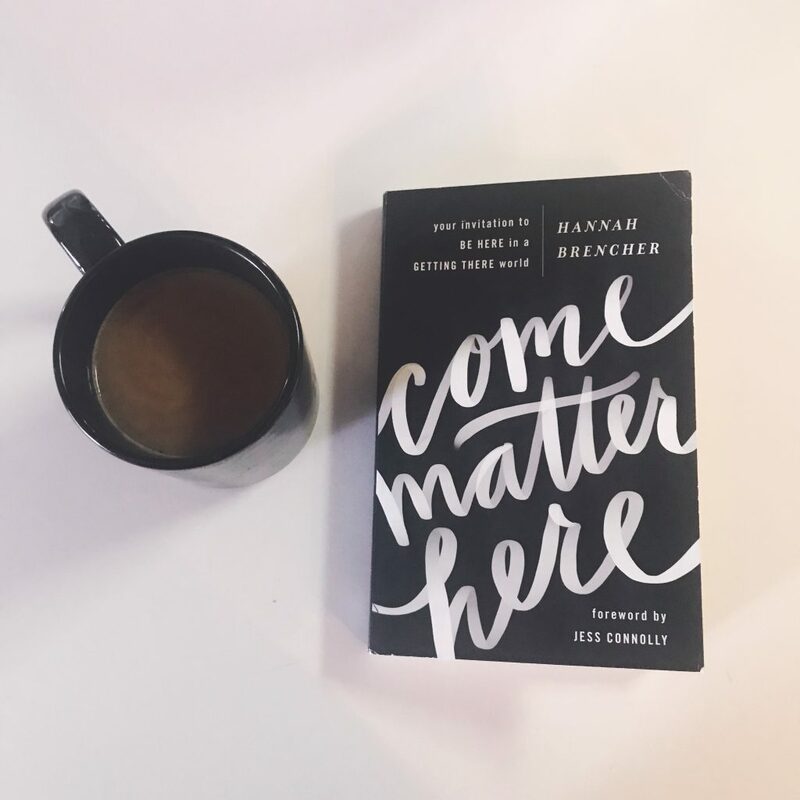 In some cases they’re stronger than our relationships with our significant others, more enduring and solid, and this book did a great job of conveying that. It’s a bit more research-focused than I was expecting, but I found I really enjoyed it. 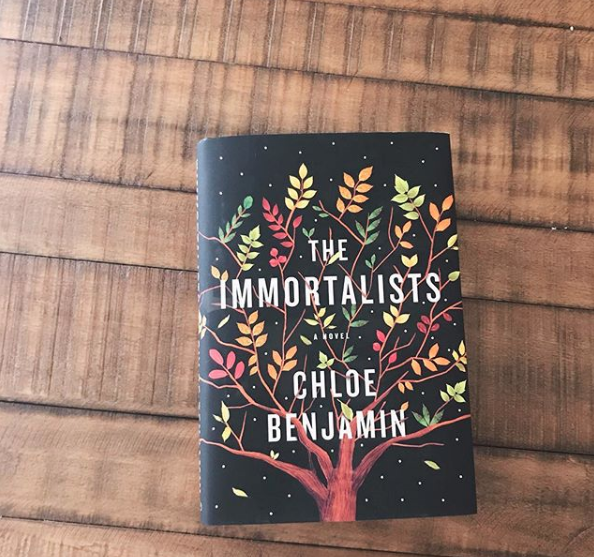 This book had me texting my friends with goosebumps on my arms to tell them how much I adore them. I bought this for myself for my birthday in March because I wanted to buy a book that would make me laugh. This nearly qualified. It’s not laugh out loud funny but it’s definitely worth a read, ideally if you can get it at low cost. 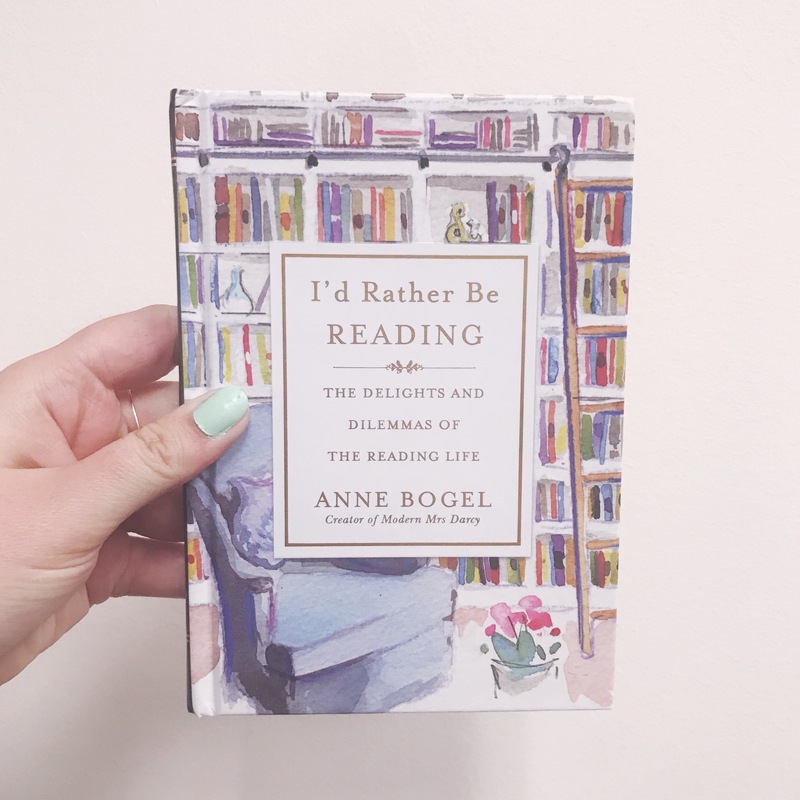 My favorite parts of this book of autobiographical essays were the ones about how weird moving to Los Angeles and seeing just how damn hard Anna had to work to get where she is. And yes, she was the best friend in Twilight. 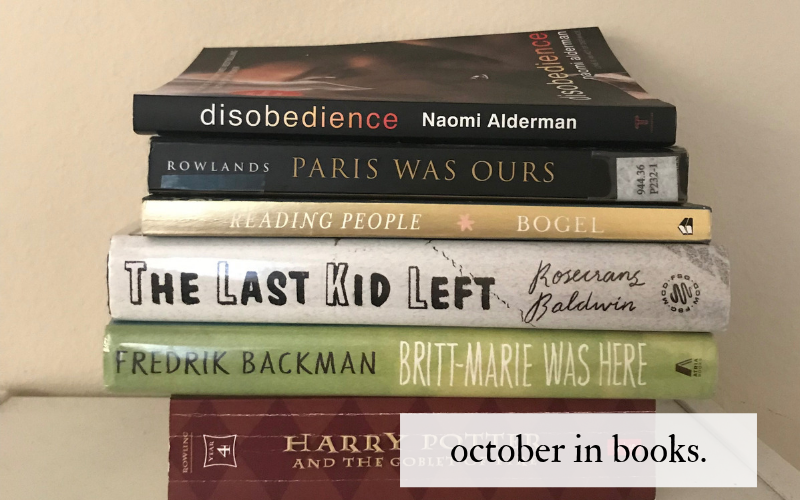 This was a weird month for reading! Some months I read one or two books, some months I read fifteen. I’m up to 61 out of my goal of 100 this year, as of this writing. Yet this month I didn’t pick up a book til I was more than halfway through the month! That said, the two books I did manage to read this month I really liked! 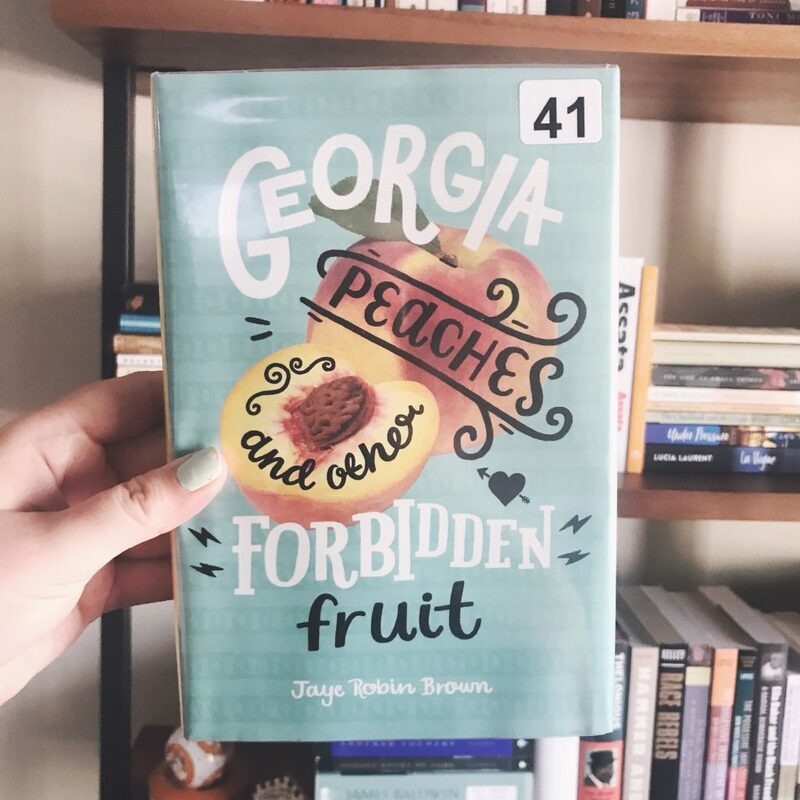 I read this for book club and I liked it! The story is pretty crazy, all things considered. It’s wild to think about how many people Holmes managed to manipulate. Because there were so many players involved and it detailed the experiences of many of them, I felt like this book was repetitive and thus a bit too long. There’s a certain point at which I get that this person was shady and manipulative; I don’t need more info to back that up! That said, I really respect that this was written by the journalist who broke the story. 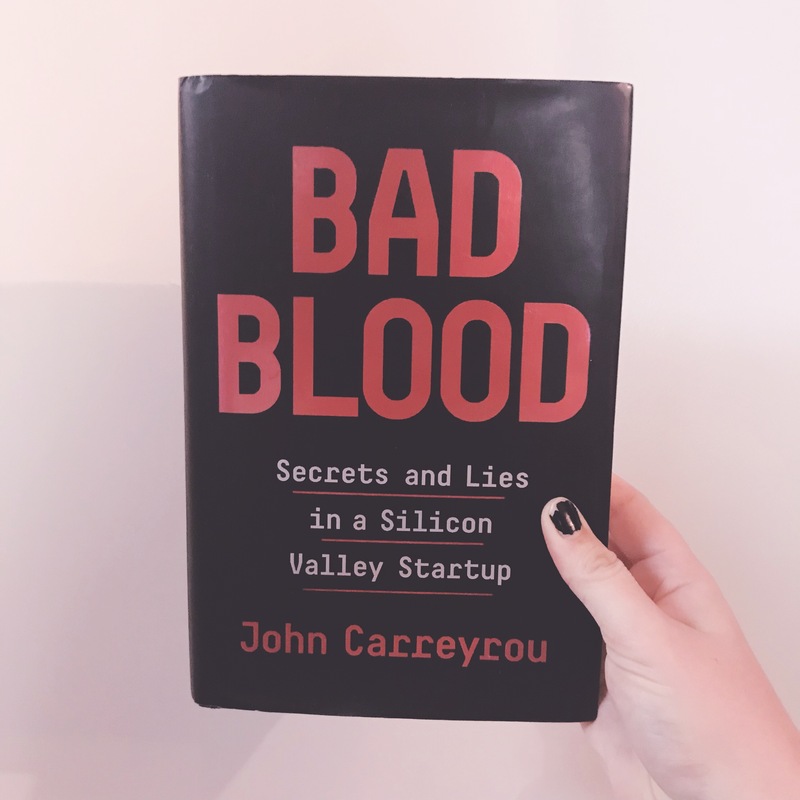 Just this week I heard that Theranos is dissolving as a company, so we definitely read this at the right time! I only have big feelings about this book! It’s for sure going to be on my top 10 list at the end of the year. It’s like Friday Night Lights but with hockey and set in Sweden. If you’ve watched FNL, though, you know that it’s about so much more than football; it’s about family and love and growing up and all those crucial things that make us happy. 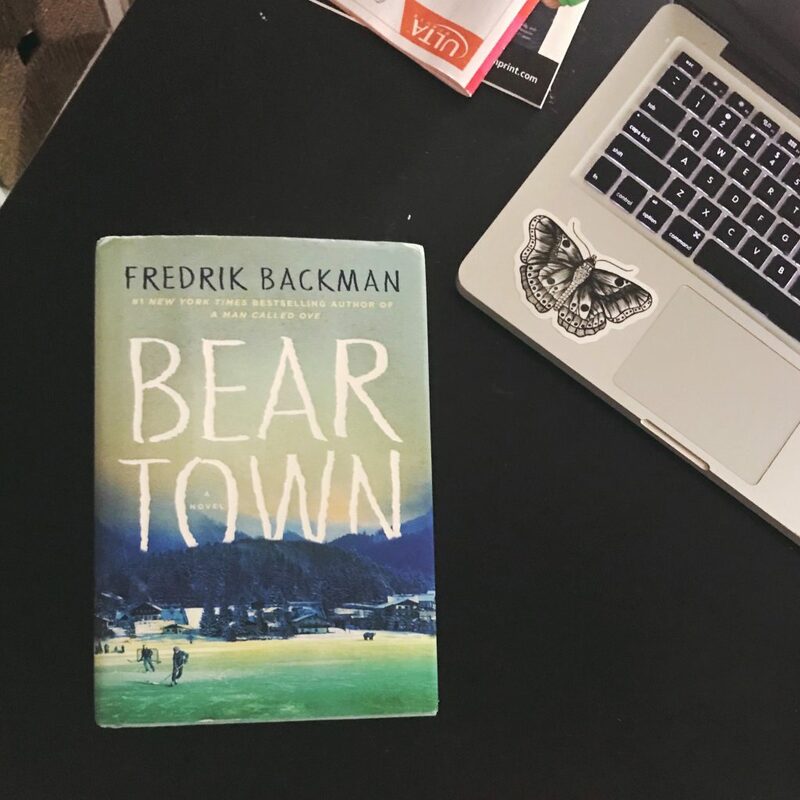 When I started this, I forgot that the author is Swedish and the book had been translated; it helps to remember this when they start talking about moving across the pond to Canada and playing in the NHL. That’s my American bias absolutely showing but I wanted to point it out! I definitely want to read this one again sometime. 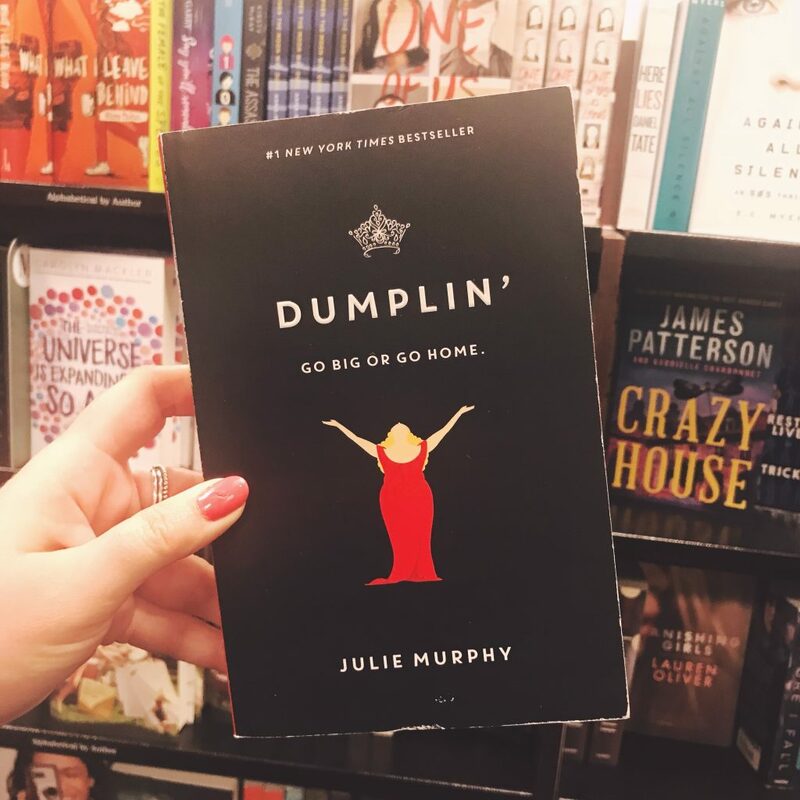 Two years later, Laila has left behind her quiet life in Grosse Point, Michigan to move to New York City, landing her smack in the middle of her cousins’ decadent world. 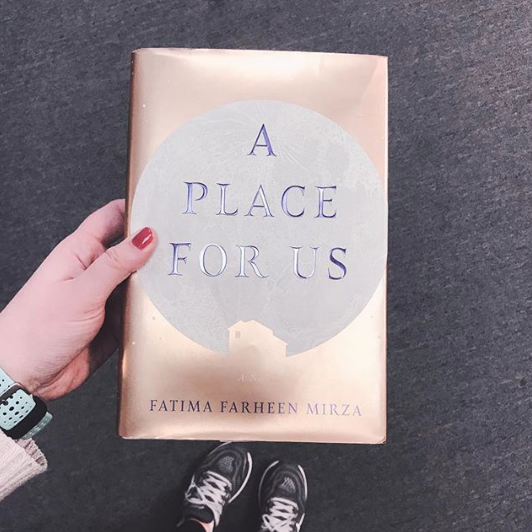 As the truth about why Laila’s parents became estranged from the family patriarch becomes clear, Laila grows ever more resolved to claim what’s rightfully hers. Caught between longing for the love of her family and her relentless pursuit of the lifestyle she feels she was unfairly denied, Laila finds herself reawakening a long dead family scandal—not to mention setting off several new ones—as she becomes further enmeshed in the lives and love affairs of her cousins. But will Laila ever, truly, belong in their world? I liked this book okay! I read it because I saw it on Instagram, and I’m glad that I borrowed it from the library, because I think I would have been more frustrated if I spent money on it. The cover is gorgeous, but like The Queen of Hearts, that was my favorite part of it. It was fun to step into Laila’s world, so different than mine, but it was hard for me to like any of the characters. When it comes to drumming, Leah Burke is usually on beat—but real life isn’t always so rhythmic. She’s an anomaly in her friend group: the only child of a young, single mom, and her life is decidedly less privileged. She loves to draw but is too self-conscious to show it. And even though her mom knows she’s bisexual, she hasn’t mustered the courage to tell her friends—not even her openly gay BFF, Simon. After I watched Love, Simon (and read the book it’s based on immediately after I got home) I kept saying that I wanted to know more about Leah, Simon’s long-term best friend. Enter this sequel that’s all about Leah. 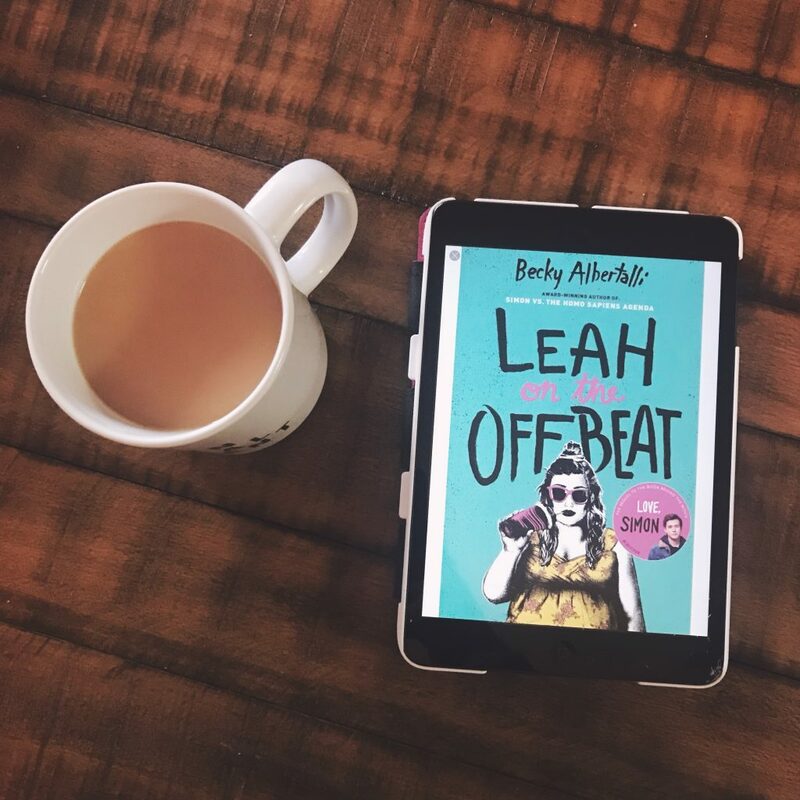 Leah is bisexual and hasn’t been able to find the right way to tell her friends – not even Simon, who she knows would be cool with it. 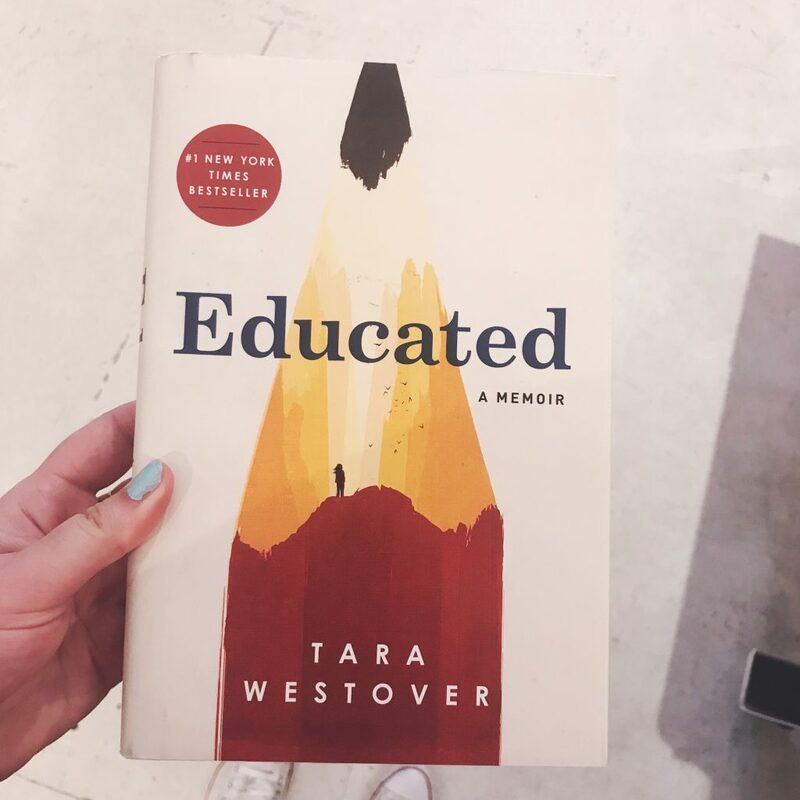 I loved this book for its portrayal of high school and feeling like there’s an invisible wall between you and other people. I think it would be a good movie. Definitely a good one to get from the library if you can (this is basically my code for “I wouldn’t spend money on it but I liked it!”). 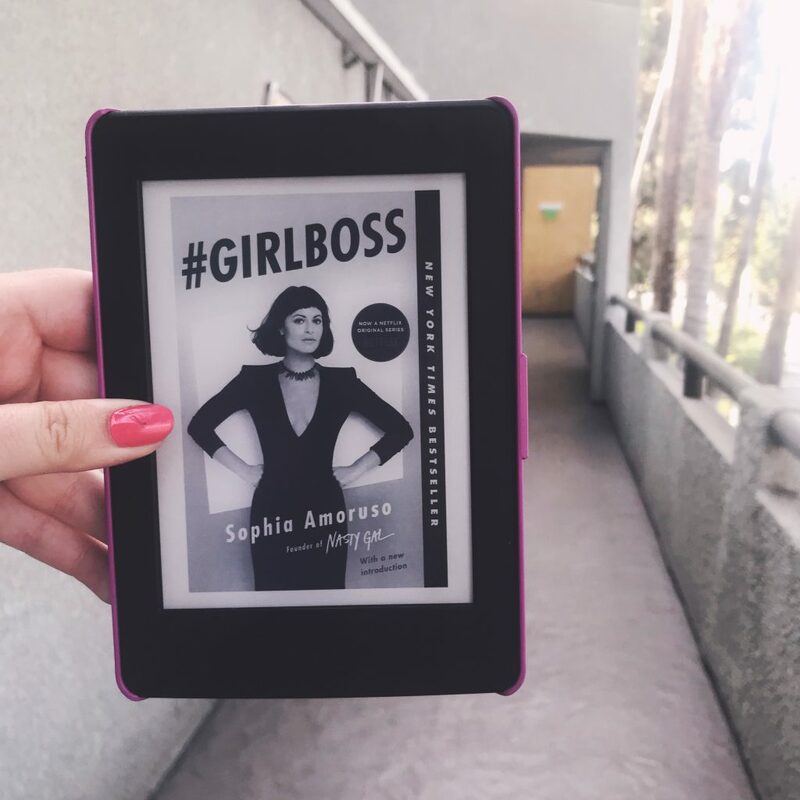 I’m trying to read more biographies + memoirs, and I liked this because it was inspiring to read about how Sophia built her brand Nasty Gal from the ground up, without even really meaning to. It inspired me to work a little harder and not let failure stop me. I don’t actually know much about the brand itself apart from what I read here and the billboards I’ve seen in LA, but this was a short read that was good for some motivation when I needed it. Definitely a good library read! Our hyper-connected era has led us to believe life should be a highlight reel—where what matters most is perfect beauty, instant success, and ready applause. Yet, as Hannah learned, nothing about faith, relationships, or character is instant. So she took up a new mantra: be where your feet are. Give yourself a permission slip to stop chasing the next big thing, and come matter here. 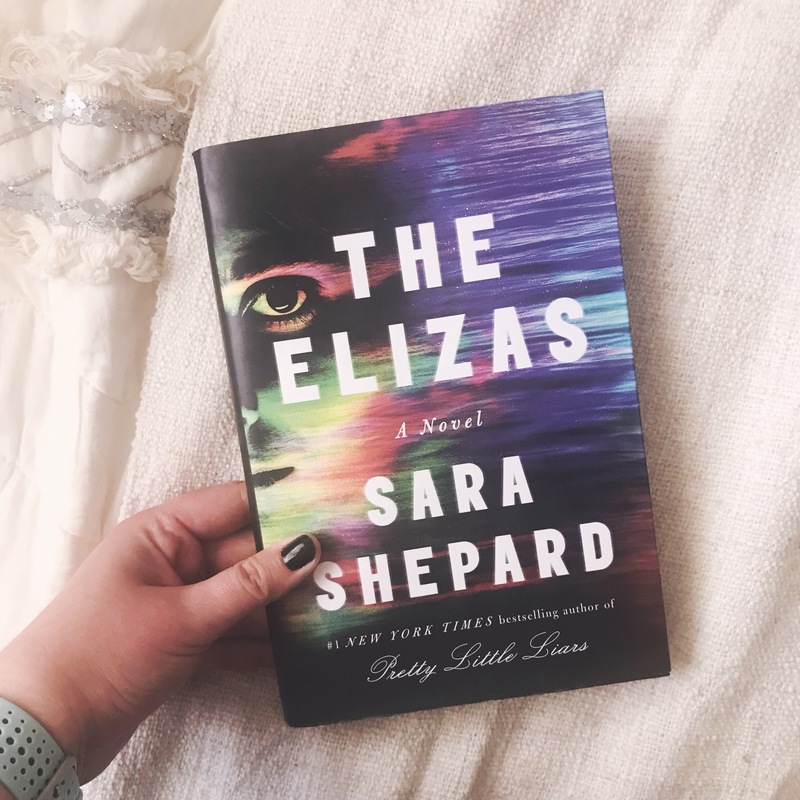 Sarah, the only child of a prominent intellectual and a socialite, works at a charity and is methodically planning her wedding. 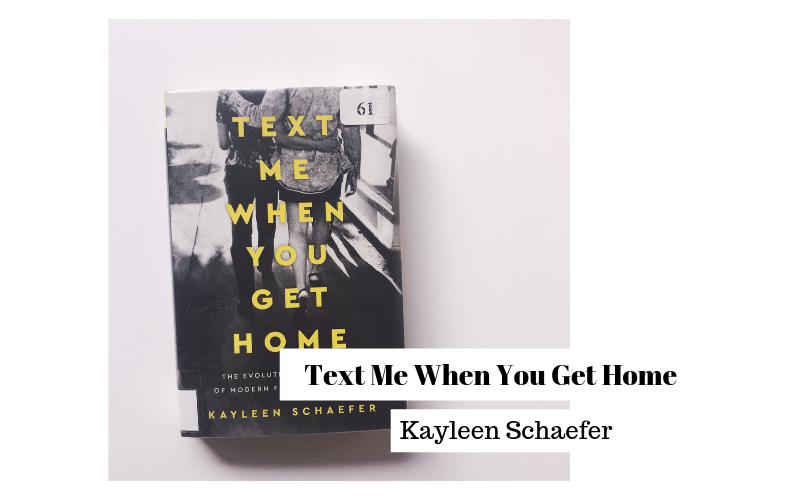 Lauren—beautiful, independent, and unpredictable—is single and working in publishing, deflecting her parents’ worries and questions about her life and future by trying not to think about it herself. Each woman envies—and is horrified by—particular aspects of the other’s life, topics of conversation they avoid with masterful linguistic pirouettes. Once, Sarah and Lauren were inseparable; for a long a time now, they’ve been apart. 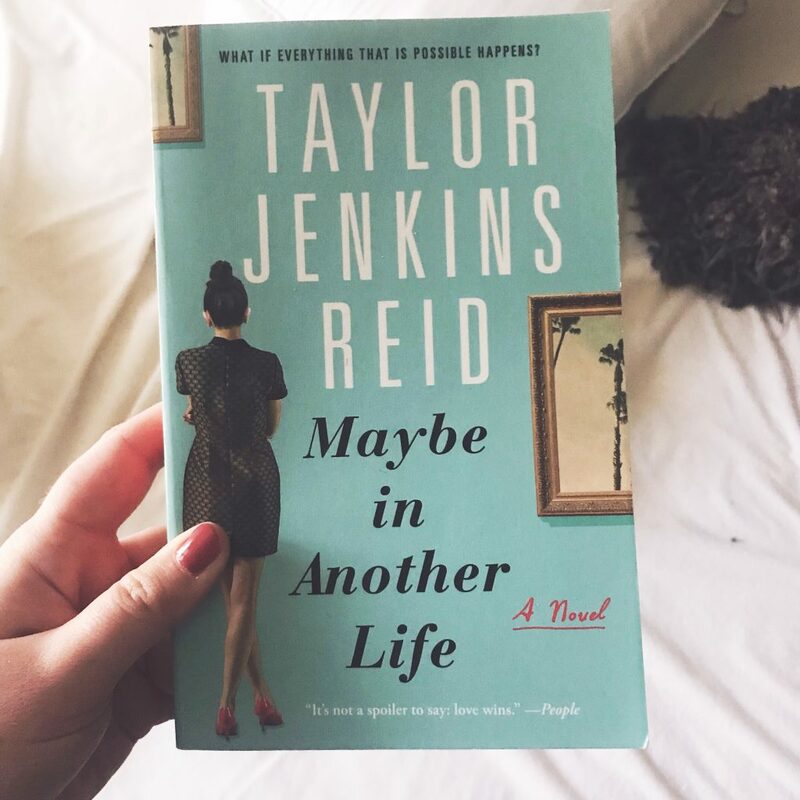 Can two women who rarely see one other, selectively share secrets, and lead different lives still call themselves best friends? Is it their abiding connection—or just force of habit—that keeps them together?